Lowering kit for Suzuki GSX-S1000 year models 2015-2018. 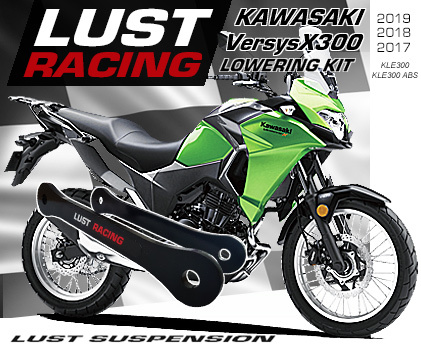 Lower the seat height on Suzuki GSX-S1000 with this high quality suspension lowering kit from LUST Racing. Gain ncreased high speed stability, lower center of gravity, improved rear wheel traction and a lower seat height. Excellent aftermarket accessory for Suzuki GSX-S1000 years 2015-2018. For bikes with or without ABS. Lowering kit for Suzuki GSX-S1000 2015 to 2018 with or without ABS. Lowers the rear suspension by 1.6″inches and reduces the seat height by replacement of the suspension linkage brackets “triangles” in the rear suspension. Improved high speed stability, lowered the center of gravity and increased rear wheel traction. Excellent accessory for shorter riders who otherwise may have to tip-toe at every stop. 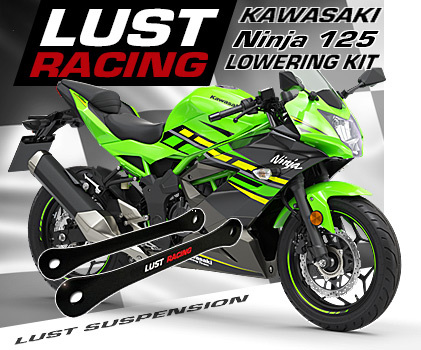 Lower the seat height by installing this high quality lowering kit from LUST Racing. 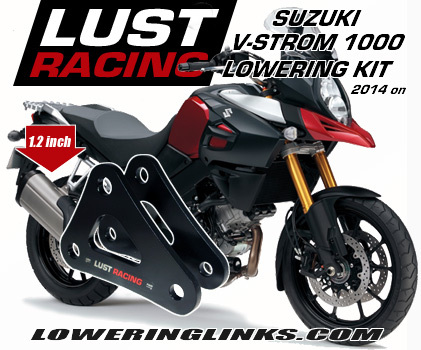 LUST Racing is the leading European manufacturer of high quality lowering kits for motorcycles. 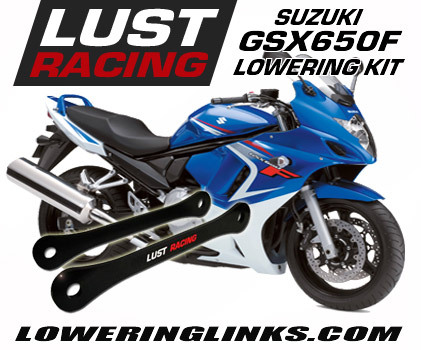 Lowering your naked GSX-S1000 is now easy with this lowering kit from LUST Racing. The lowering kit will fit motorbikes with our without ABS brakes. Supplied with model specific installation instructions. The seat height lowering suspension lowering kit from LUST Racing is designed, engineered and manufactured in Europe out of roll forged steel, stronger than the standard parts replaced. This is a high quality aftermarket accessory for GSX-S1000 made to last the lifetime of your bike! This lowering kit is for the naked Suzuki GSX-S1000, we have also specific lowering kits for the faired version GSX-S1000F / FA models, see our other items in our shop.